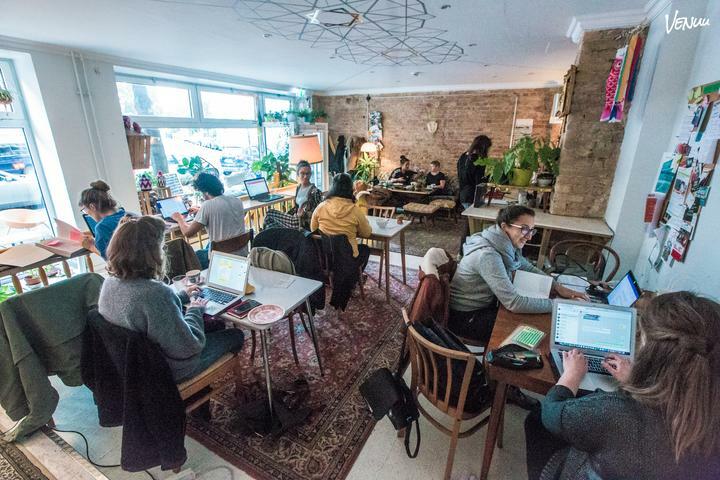 be'kech is Berlin's first anti-café and co-working space. This means that for just 5 cents per minute, you’re invited to enjoy free Wi-Fi, fresh coffee & tea, vegan and vegetarian food, co-working facilities, inspiring events and much more at our anticafé. 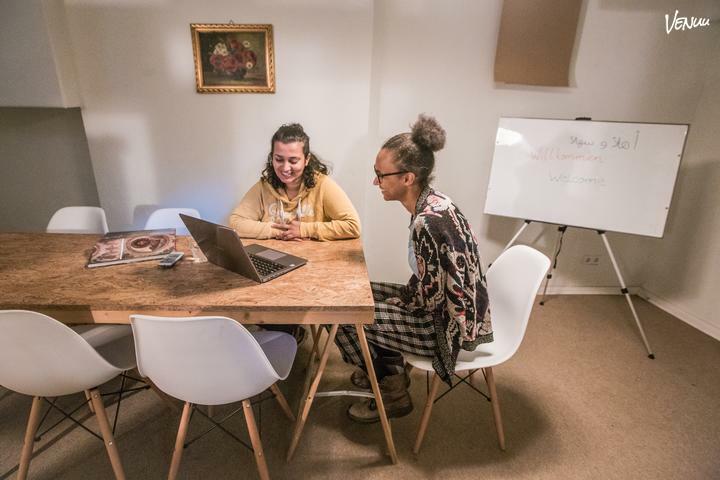 We offer fast internet & printing, Skype cabins & a meeting room (for 15 euros an hour, regardless of the number of people), as well as an inspiring working atmosphere to make your work the most effective. We host events for freelancers and entrepreneurs to improve skills, network and keep updated with this world’s fast-changing industries. To find out more, or to book the meeting room, please send us an inquiry! Meeting room: Host your next meeting in our inspiring meeting room equipped with everything you need! We provide a large variety of hot & cold drinks, delicious snacks* and Middle Eastern hospitality in the heart of Berlin’s most intercultural district. Please use the reservation system below to book our meeting room. Event space: We have a versatile and beautiful event space which can be designed to suit many types of events. We can host workshops, talks, film screenings, concerts, parties and exhibitions. The upstairs space can host around 30-40 people seated, and 60 standing. To reserve a table for a large group (+6 people) at our cafe & coworking space, please contact us by using the contact form. Please contact us to discuss price arrangements for the event space at be'kech. 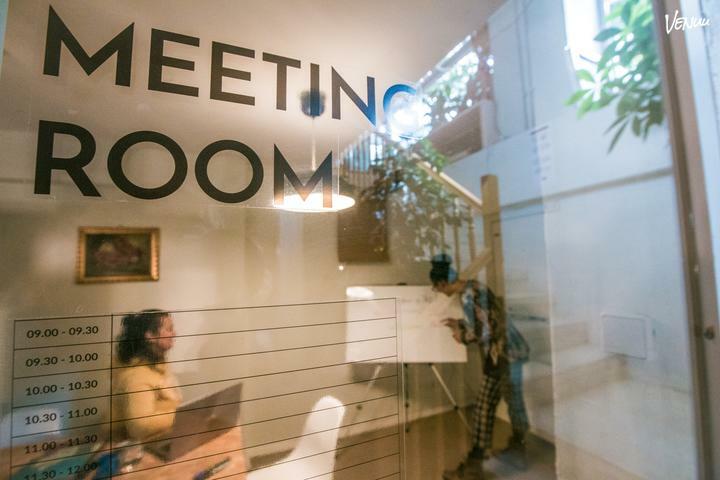 The meeting room can be booked for 15 euros per hour, regardless of the amount of people.